Aussie Internet users are often unsure about the legality of gambling online, with the question regularly asked; is online gambling legal in Australia in 2017? It’s a complex question with a multifaceted list of answers, but to provide the most important answer, it is currently not legal for online casinos to offer services for Australian residents to place real money bets at online casinos, online poker and bingo rooms, and online sports betting sites. However, it’s not all black and white, and there are exceptions, which we will explore in this article to provide a clear explanation surrounding Australia’s online gambling laws. Gambling is a widely enjoyed pastime that’s deeply imbedded in Australian culture; in fact Aussie’s account for the highest gambling participation rate in the world. Whether it’s chucking a couple of coins in the pokies at a pub, placing an annual bet on the Melbourne Cup or regular betting on your favourite table game at a brick and mortar casino, gambling for real money is part of the Australian way. Rapid advances in technology has seen Australian online casino sites expand and virtual gambling rise in popularity as more punters turn to online, mobile and tablet betting alternatives. Most Australian gambling laws work to protect problem gamblers and ensure responsible betting practices, although it is arguable such laws in place are hypocritical and not in-line with other gambling laws. Current government laws and legislations surrounding online casino gambling are focused on how Australian gambling operators run their business and which services they can and cannot provide, as opposed to what individuals are allowed to do with their own money. Such rules have minimal effect on the individual recreational gambler, and instead focus on restricting both local and offshore online casino operators from providing interactive gambling services to Australian residents. In a nutshell, it is currently prohibited for any online casino based anywhere in the world to provide gambling services to anyone from Australia, as of September 2017. While gambling via the Internet remains legal for Australians within some areas such as lotto betting and sports betting (as both industries are licensed and regulated within Australia) the Interactive Gambling Act (IGA) explicitly bans online gambling operators from servicing Australians. It is also against the law for such organisations to advertise real money interactive gambling services to Australian citizens. The current fine for any operator in violation of offering interactive gambling services to Aussie residents is a maximum of $220,000 per day for individuals within the organisation, or $1.1 million per day for the company itself. These laws are directed at online casino and online poker room operators, but don’t specifically target Australian players themselves or prohibit Aussie individuals from placing real money bets online at such venues – “the average Australian citizen cannot be punished for signing up and gambling online,” (IGA, 2001). The IGA does not apply to Australian-owned sports betting websites (like Sportsbet.com.au) or lotteries (like Lottoland or Tatts.com), provided they are associated with a land based business. As long as betting on an event is done before the event commences, placing a wager on a sports event or online lottery is not considered to be an interactive bet and is thus perfectly legal. This is different for interactive games played online in real time, like online pokies, roulette, blackjack, etcetera. Live sports betting is considered interactive, and so this form of betting has been outlawed online within Australian sports wagering companies, and can only be conducted via phone. Technically speaking, international online casinos offering their services to Australian citizens were in violation of the IGA, but the ambiguous wording of the original IGA allowed a gray market to flourish. The Australian government has since introduced new legislation in September 2017 that completely bans offshore providers from servicing the Australian market without question – the Interactive Gambling Amendment Bill 2016. In November 2016, the Australian Government introduced the Interactive Gambling Amendment Bill 2016, also known as the IGA Amendment Bill, into the House of Representatives as the answer to the 2015 O’Farrell Review into Illegal Offshore Wagering. It proposes many of the changes discussed in the O’Farrell review to the Interactive Gambling Act 2001, namely to close the loopholes in the original IGA that allowed offshore online casinos to service Australians. The IGA Amendment Bill went into full legal effect in September 2017, which means offshore online casinos and offshore online poker sites can no longer accept or service Australian players, or they risk large fines and penalties. Thus, online roulette and any other form of online casino play is technically banned in Australia. The technicality is that there is nothing in the IGA Amendment Bill that suggest any penalty for Australian residents who continue to gamble at online casinos. While most of the big casino brands pulled out of the Australian market, there are still several reputable offshore operators who have chosen to continue to service Australian players, and the risk is on them. Offshore operators who offer online gambling services to Aussies risk hefty fines and punishment, but there appears to be no legal risk presented to players. The contradictory terms laid out within the IGA and the IGA Amendment Bill, which set the parameters for interactive betting within Australia, are glaringly obvious. 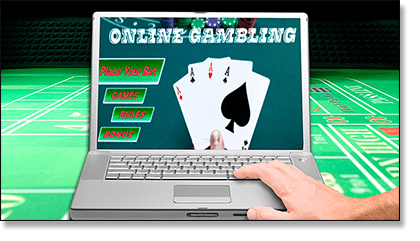 There is an allowance to offer online sports and lottery betting and a disallowance to offer online casino and poker betting – when all branch off the same tree, and no research suggests one form is more detrimental than the other. In addition, the IGA exists to “protect players”, yet the government is perfectly happy to have real life casinos and pokie lounges operating 24/7 around all Australian cities, with lottery tickets and keno games available at news agencies, shopping centres and petrol stations – gambling venues the government reaps the tax benefits from. Land based casinos, pubs and betting outlets operate legally throughout the country, providing strictly regulated spaces in which Australians can place real money bets in real life. Casino gambling in Australia functions under the Casino Control Act of 2006, adhering to strict guidelines regarding operation, permitting the legal gambling of table games like blackjack, roulette, baccarat, craps and poker. Licensed gaming venues like pubs and betting outlets like TAB also follow firm regulations to ensure legal delivery of games like pokies, keno, lotto and scratchies. Along with the Casino Control Act, each venue operates within the individual guidelines set for each state, which you can find below. Brick and mortar casinos like the famous Crown Casino, Star City, Sky City and Jupiters Casino are prime examples of legally run land based gambling venues. As detailed in the IGA overview, online casinos must adhere to an entirely different set of gambling rules. Namely, they are completely banned from operating within Australia and overseas casino sites cannot advertise their services to Australian residents or provide “interactive gambling services to Australians unless the person holds a licence under the law of an Australian state or territory.” Because there is currently no regulatory body in Australia that specifically licenses and regulates online casinos (and no announced plans to create one), there is no online casino license to speak of in the country for the foreseeable future. The problem with the outright banning of online casinos is the land-based casinos retain their monopoly and lack the motivation to employ the many innovations many of these sites have accomplished, such as a much greater variety of casino games on offer than typical casino floors, and easy access to variations that include European, American and French Roulette, Roulette Royale, Live Dealer Roulette, Multiplayer and Multi Wheel Roulette and more. They have also historically offered more lenient betting options and better odds, with more affordable minimum betting limitations (and large maximums for high stakes gamblers). While Australians only have land-based casinos and roulette as an option for the time being, at least many of the online world’s strides forward are being used in licensed brick and mortar venues to some degree. Gambling has always been a heavily debated subject in our country, with many politicians objecting the operation of gambling systems like pokies and calling for nationwide bans of slot machines altogether. The government stance on gambling laws is heavily based around the promotion of responsible gambling, supporting the notion of gaming venues to partner with counselling services to assist punters with detrimental gambling problems. The Coalition currently supports a voluntary pre-commitment system for gaming machines like the pokies (setting maximum betting limits). As far as online gambling goes, the government has made it clear the Liberal Party is absolutely all about tightening the laws in Australia to block Aussies from placing real money bets with foreign-run casinos. Overseas operators, even though they remain largely outside of the Australian Government’s scope of authority, have already felt the effects of the new Interactive Gambling Amendment Bill and have exited the Australian market completely to comply with the new laws. Don’t expect things to change any time soon – you’re stuck with limited choices when playing online now, or sticking with offline roulette if you’re within reach of a land based casino. Information regarding the 2001 Interactive Gambling Act and the Interactive Gambling Amendment Bill 2016 can be found at the Australian Government ComLaw website, with updated versions of the Act published upon review.